Win the pre-event promotional bout by a landslide when you advertise your fight in advance with retro MMA Old School Flyers. 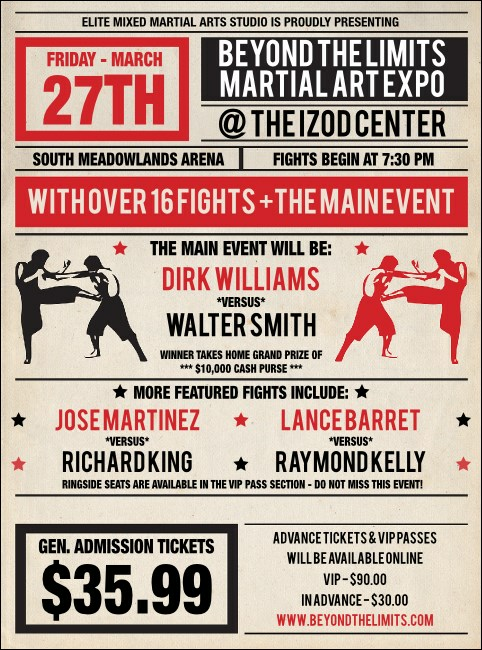 Featuring a light background with bold red and black text, and two pairs of professional fighters transposed on either side, this Flyers can take your ticket sales to new heights. TicketPrinting.com's event promotions are way above amateur-level.